On 23 April 2018, in London, the British Accreditation Council for Independent Further and Higher Education (BAC) released their updated and revised independent higher education (IHE) scheme. Developed to support and raise the quality of standards within the UK and international higher education institutions, a detailed review of the IHE scheme took place to ensure the standards remain up to date and applicable to developments in the higher education sector. The scheme is designed for institutions that offer full degree programmes and is aligned to the Standards and Guidelines for Quality Assurance in the European Higher Education Area (ESG). The refreshed scheme is set to continue to raise standards in the global higher education market. BAC has over 30 years’ experience in developing rigorous inspection-based accreditation services for educational providers and works closely with technical experts and industry stakeholders to ensure sectors are fully represented in the scheme’s development process. As a result of its broad stakeholder consultation during the research and development process, BAC has made significant changes to the series of trusted and globally respected quality assurance standards. A group of experienced practitioners comprising representatives and leaders from the UK and international higher education institutions, technical experts, inspectors and a student representative met to work collaboratively on reviewing the inspection standards against which BAC makes accreditation judgements. 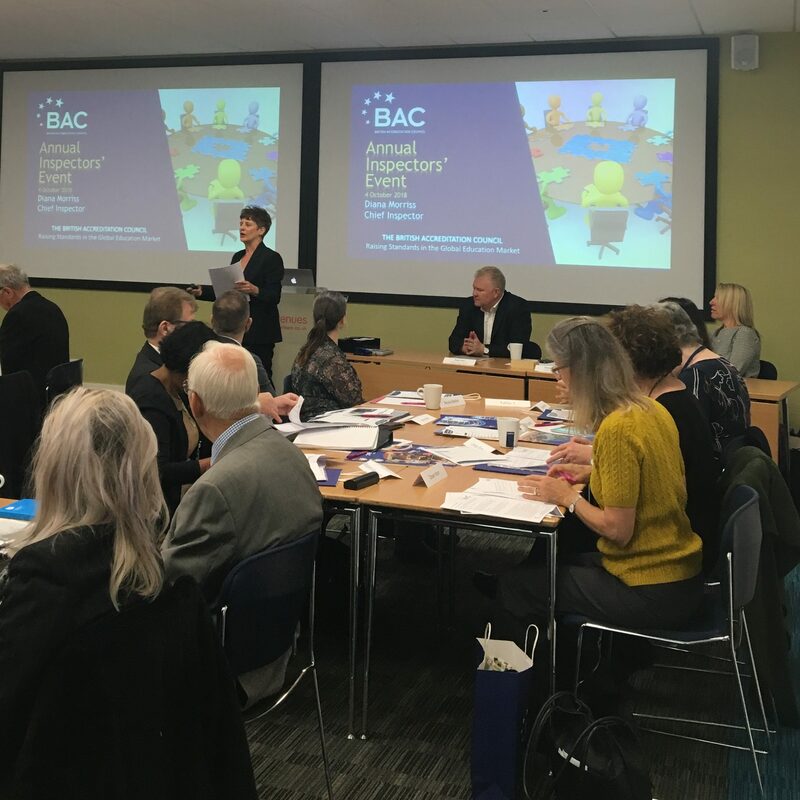 The work and support of the focus group presented BAC with an insight into a dynamic education sector to ensure that the standards are up to date and relevant and represent best practice in higher education provision. The updated version of the scheme reflects BAC’s commitment to stringency within the accreditation process for the UK higher education sector and ensures that the outcomes in terms of quality are not UK-centric in assumption or that UK practices have to be replicated exactly overseas. The scheme supports a cultural context and international differences in educational provision, ensuring robust internal quality assurance practices and assuring quality enhancement and development across all areas of provision. As a member of the European Network of Quality Assurance (ENQA), BAC is committed to ensuring its inspection standards are aligned with ESG 2015. In fulfilling its aim to achieve transparency and reliability, the review included an exercise that mapped the BAC inspection standards and key indicators to the ESG to ensure they align with specific ESG indicators. Paul Fear, CEO of BAC, comments, ‘The updated scheme represents a milestone in the development of BAC’s influence. We have found there’s an increasing demand and need for independent and transparent quality assurance for higher education institutions, particularly on the international landscape. This recent update will help ensure that BAC’s high-quality reputation is maintained in the UK and importantly overseas where BAC is consistently raising standards in the education market’. BAC was established in 1984 as the national accrediting authority for independent further and higher education in the UK. The institutions currently accredited cover a diverse range of provision, from sixth-form colleges to specialist schools of art and design, recognised higher degree providers and world-renowned centres for professional qualifications. Currently, BAC accredits more than 230 institutions across 20 countries and provides consultancy support to a number of national education departments.